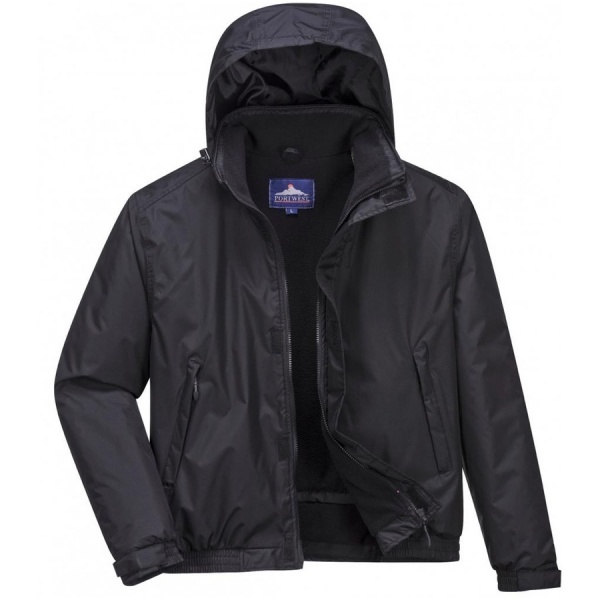 The Portwest S503 top quality bomber jacket provides excellent protection against wet and windy conditions. It is completely waterproof, windproof and breathable. Fleece lining and padded sleeves provide optimum warmth and comfort to the wearer. 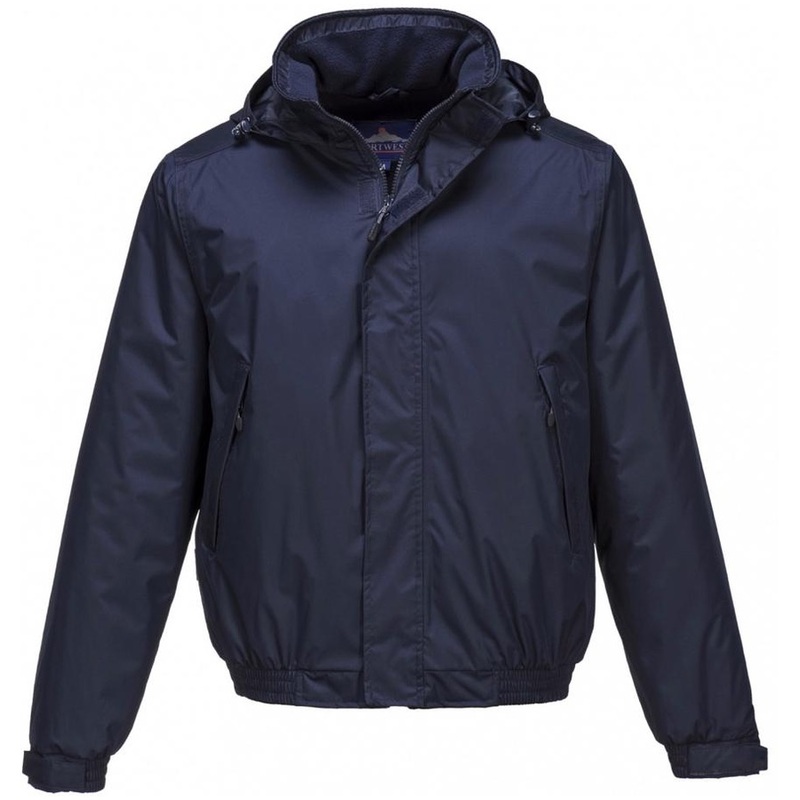 The style has a clever pack away hood, zipped lower pockets and hook and loop adjustable cuffs.